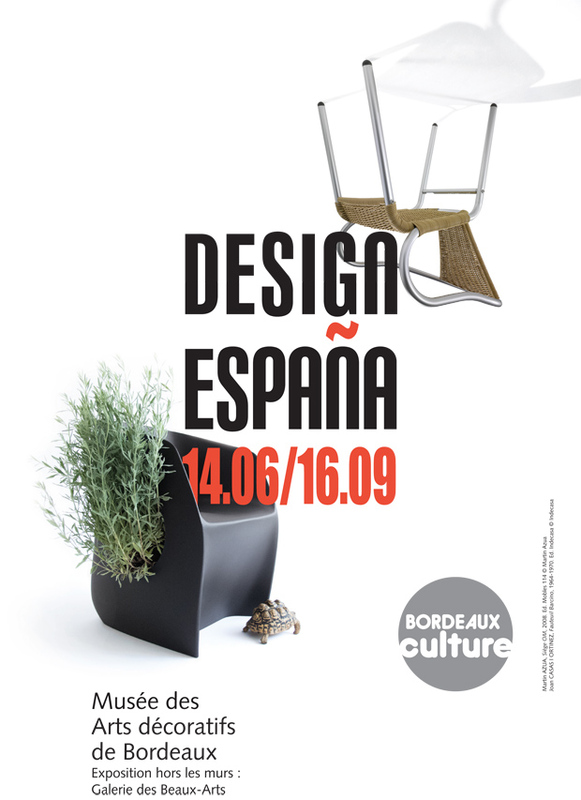 The new exhibition at MAD Musée des Arts Décoratifs in Bordeaux presents the aportations of Spanish design in furniture, graphics and industrial design to French public. 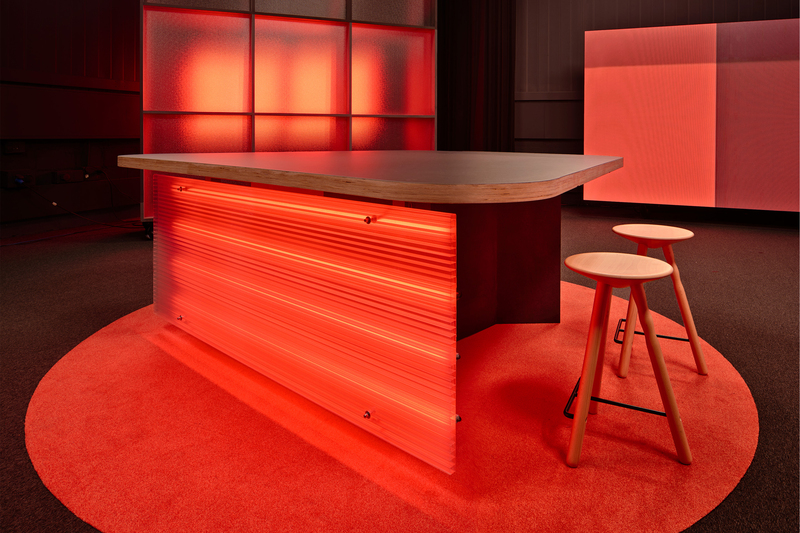 Current design is shown through personalities with international projection, and emblematic objects are presented with classics, and contemporary designs. So this is the chance to explain some singularities about creativity at the country. 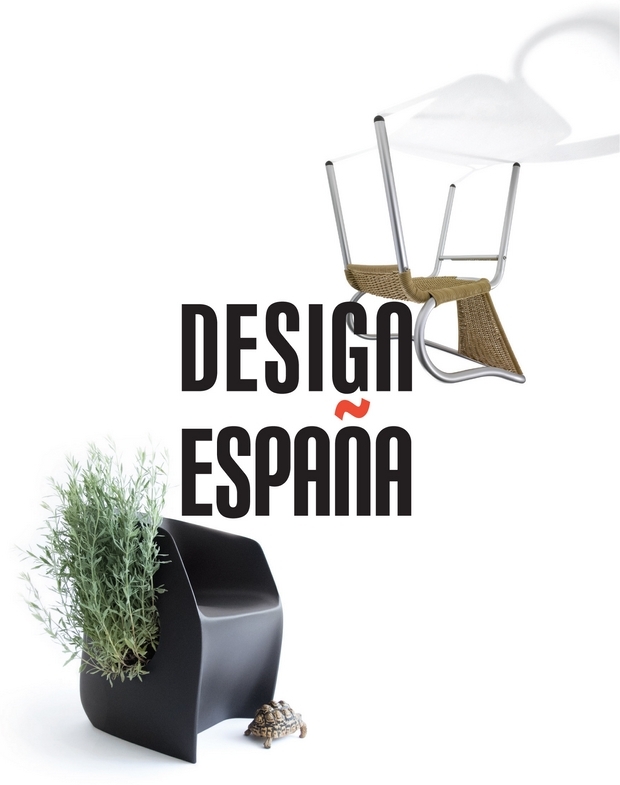 An analysis of his career, from the effervescent post-dictatorship that led to the 1992 Barcelona Olympics and the entry into the EU until the emblems of modernity that are Patricia Urquiola or Jaime Hayon, passing by Javier Mariscal Martin Ruiz de Azua, Marti Guixe or young Nacho Carbonell, among others. 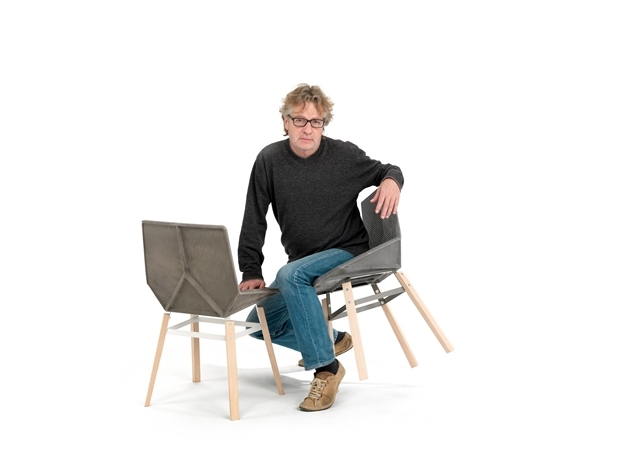 Green chair by Javier Mariscal, is a project created with the engagement to improve the quality of life and planet preservation. Its author will start the exhibition with a conference next 12th June at Arc en Rêve Centre d’Architecture. 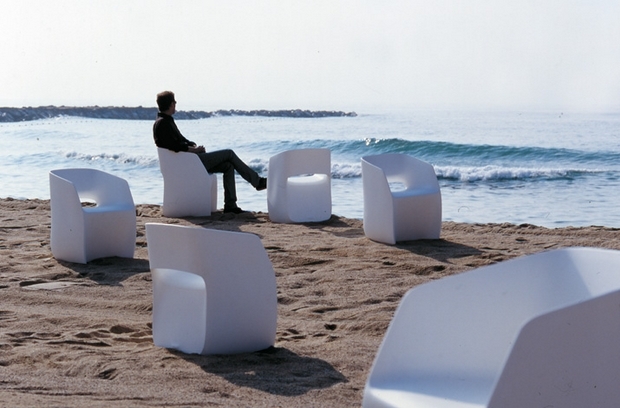 Om Basic armchair, a design by Martín Azúa for both interior and exterior spaces. 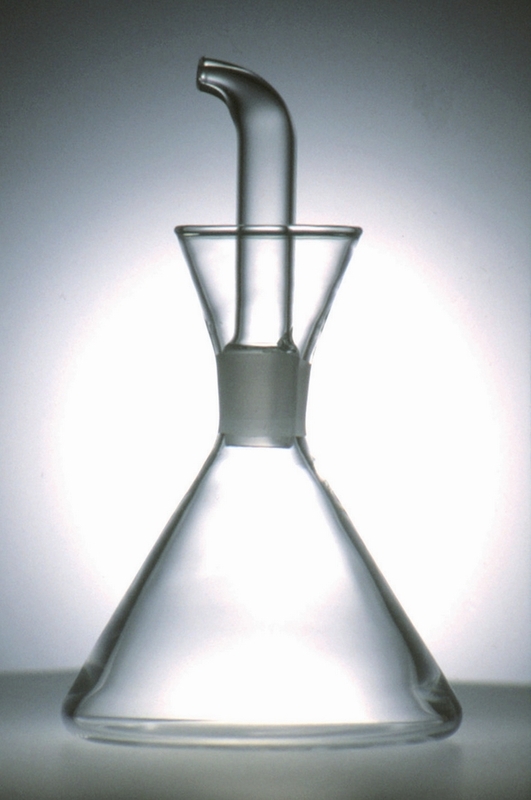 Marquina oil and vinegar container, Spanish design icon that solves ingeniously and efficiently the problem of drips. 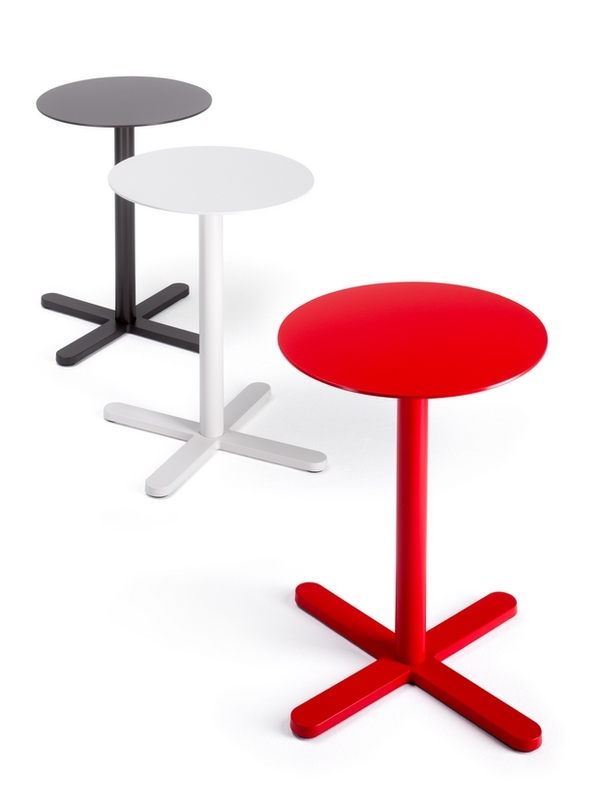 It is a clear example of how objects evolve under the aegis of design. 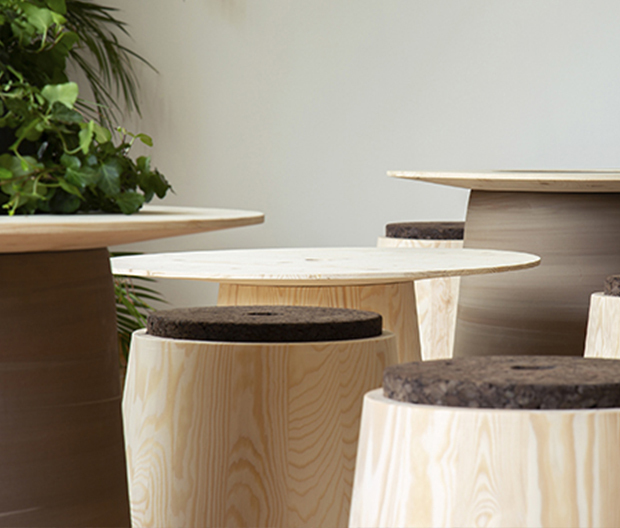 Oxi table, a collection of side tables created by JM Massana – JM Tremoleda & Eduard Juanola. 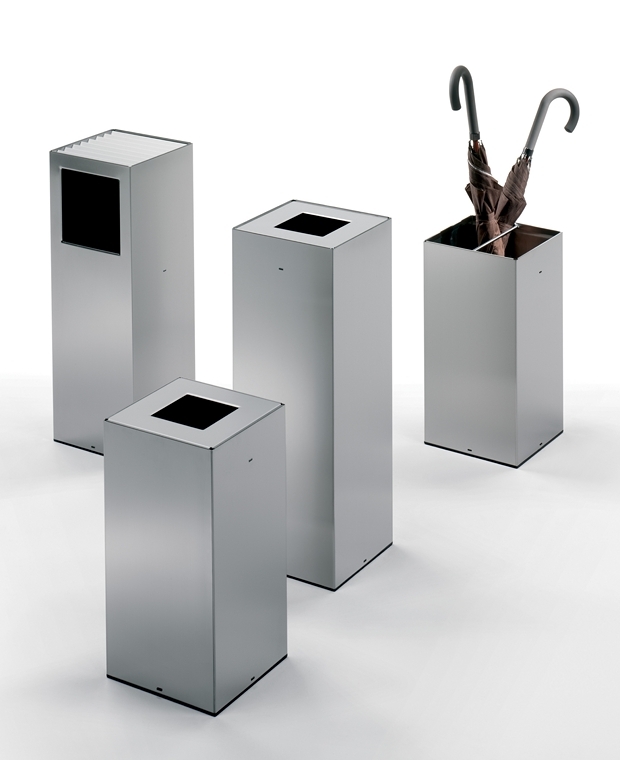 Riga, a set of accessories in stainless steel made up of various versions of bins, an umbrella stand and an ashtray-bin.